When the Chelston model home in Old Naples first appeared on the market, it was its architecture, design, and location that caught the attention of many prospective homeowners. The home captures the appeal of the Southwest Florida lifestyle with a West-Indies architectural style and a British Colonial design that will make you want to drink your water straight from a coconut and sunbathe every day in the tropical paradise that is the Chelston’s outdoor living space. 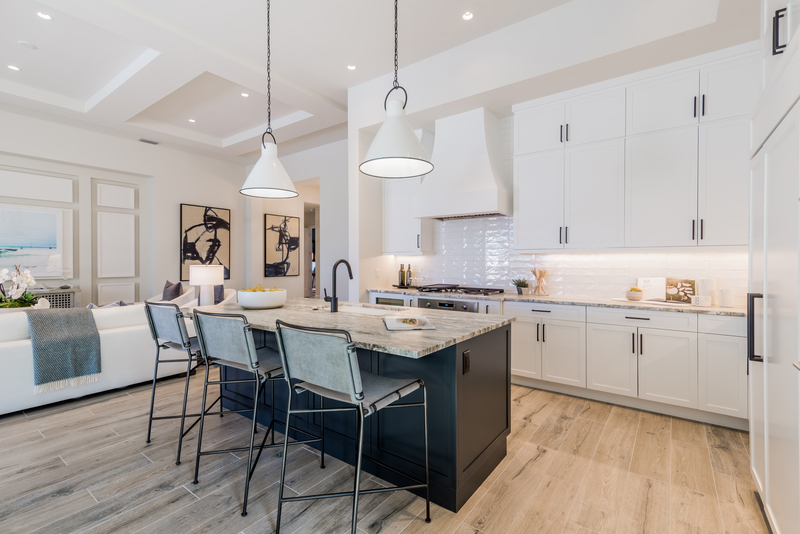 There are still opportunities to build a luxury custom home with the same style as the Chelston, but if you are searching for a custom estate in the Old Naples area that is available immediately, then you should set your sights on the London Bay Homes custom estate located at 4395 Gordon Drive. The two-story, 4,667-square-foot custom home is located in the luxury waterfront neighborhood of Port Royal, moments away from the fine dining and elite shopping of downtown Fifth Avenue South. It features four bedrooms, four full bathrooms, and two half bathrooms, as well as an expansive open floor plan that includes a spacious great room and adjoining kitchen and dining area, as well as a study, wine cellar, elevator, and a second-floor loft with morning kitchen. Homeowners and guests can access the elevated outdoor living area through the great room’s wall of stacking sliding glass doors and relax in the great outdoors with a summer kitchen, linear pool and spa, and a private body dock with access to the Gulf of Mexico through nearby Gordon Pass. This home also includes membership eligibility in the exclusive Port Royal Club and Cutlass Cove Beach Club. Artfully designed by London Bay Homes’ luxury partner, Romanza Interior Design, the home features a sophisticated West Indies-Coastal design that blends honed stone and wood plank flooring, accent panels of exotic woods like sapele, anigre and walnut, distinctive reglet details on the walls and door frames, and streamlined furnishings for a contemporary design aesthetic. This is evident in the main living areas, as well as in the home’s luxury kitchen, which features a mix of white and high-gloss lacquer walnut cabinetry and a freestanding center island with a cooktop, gallery-style double sinks and a cantilevered countertop with four modern bar stools. You will be able to enjoy your take on the culinary arts with side-by-side microwave and steam ovens above built-in single ovens, double Sub-Zero refrigerators, and freezer drawers. 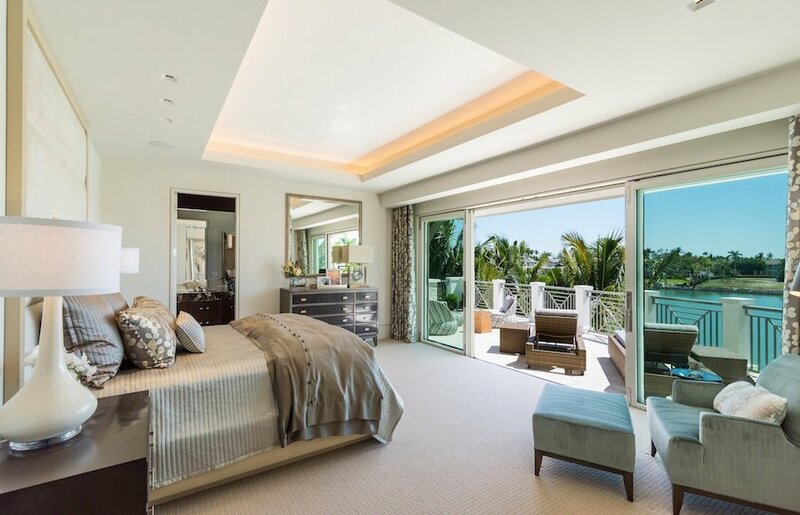 A custom staircase and an elevator will provide instant access to the luxurious second floor of this beautiful home, where you will find that the master suite encompasses half of the space. You can retreat to your haven at any moment and enjoy the peaceful contemporary design featuring a straw-colored upholstered chenille headboard framed in wood and a palette of soft blues, blue-grays, charcoal, and tan tones. You can also enjoy the exquisite view from the second floor through a wall of sliding glass doors that open to a private terrace overlooking Cutlass Cove. Enjoy peaceful nights sitting on a comfortable chaise by the fire from the linear fireplace and overlooking the shimmering waters. For a closer view of the outdoors, homeowners and guests can take in the exquisite views from every angle of the home with large windows and sliding glass doors throughout the space. Those same sliding glass doors will provide access to the expansive outdoor living space featuring a large living area with an outdoor kitchen and two grills, including a circular EVO flattop built into the large freestanding island bar. State-of-the-art technology includes two 48-inch TVs, hidden audio and video equipment, and motorized draperies. Extend past the outdoor living area and you’ll find yourself dipping your toes in the custom pool and lounging in the in-water benches and built-in spa with two spillways. Just beside the custom pool is a gathering space with a grassy area and comfortable chars strategically placed to enjoy a fire from the custom fire pit. Further out, you’ll be able to enjoy the calming waters of Cutlass Cove and indulge in the open water through your private boat dock that provides access to the Gulf of Mexico through Gordon Pass. 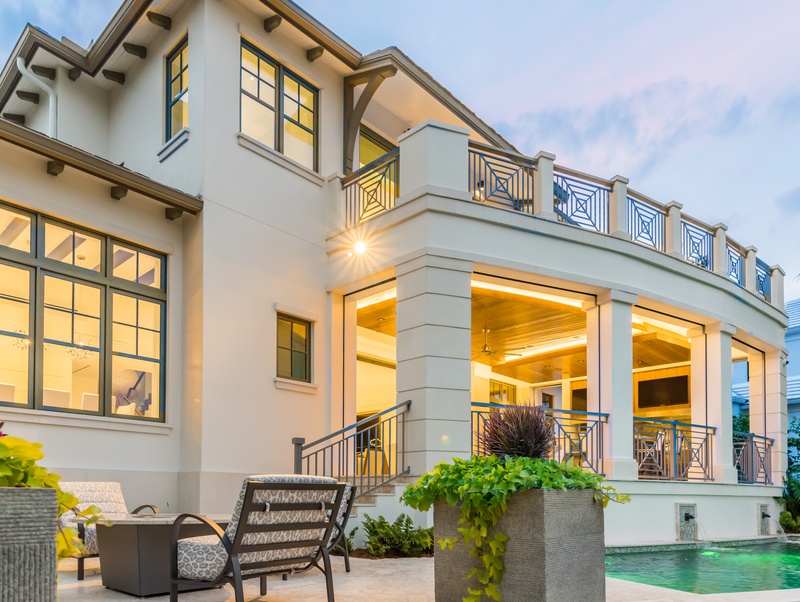 The luxury features of this gorgeous home allowed it to be recognized repeatedly during the 2018 CBIA Sand Dollar Awards. The custom estate home received multiple awards, including Product Design of the Year in the $5,500,001+ category, Best Master Suite ($200,001-$250,000), Best Kitchen Design (over $250,000), Best Outdoor Living Area (over $50,000), and the Interior Design of the Year award. The custom estate home at 4395 Gordon Drive in Port Royal is one of the many Naples Collection luxury model homes available in desirable neighborhoods from Park Shore to the Moorings and Port Royal, recognized as one of the most exclusive areas in all of the United States. 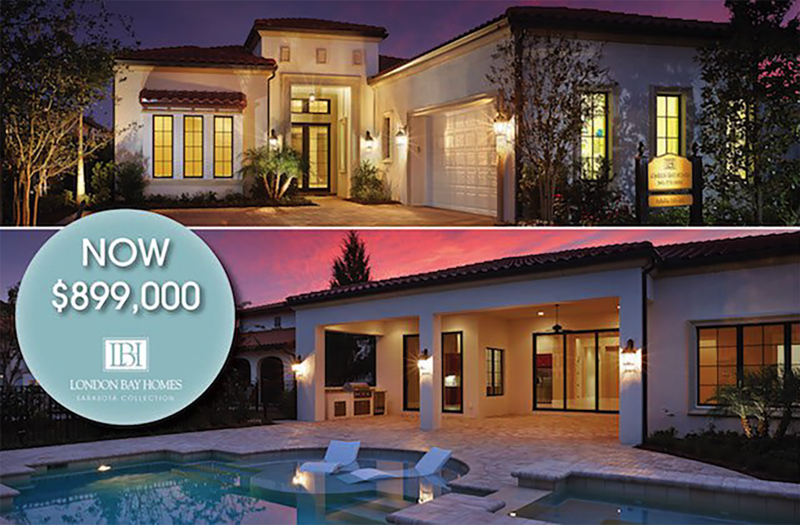 Schedule your tour of this exquisite model home to start living your Florida lifestyle.